OkayAfrica has picked its top women for 2018 in a variety of fields. The women who made the list in African literature are Leila Aboulela, Marie NDiaye, Yrsa Daley-Ward, Taiye Selasi, Malebo Sephodi, Koleka Putuma, Upile Chisala, and Nnedi Okorafor. OkayAfrica, founded in 2011, is a digital media platform dedicated to African culture, music and politics. Today, OkayAfrica is the largest US-based website focusing on new and progressive music, art, politics, and culture from the African continent. 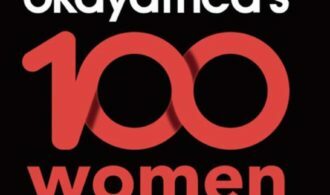 Last year the publication announced the OkayAfrica100 Women for Women’s Month which as you know is March. That list celebrated extraordinary women from Africa and the diaspora making waves across a wide array of industries, while driving positive impact in their communities and the world at large. In the literature space, they picked Nnedi Okorafor, Louise Umutoni, Imbolo Mbue, Warsan Shire, Yaa Gyasi, Chimamanda Ngozi Adichie and Okwiri Oduor as the outstanding women of that year. Novelist, playwright and lecturer. Written books like The Kindness of Enemies, Lyrics Alley, Minaret, The Translator, and Coloured Lights. Novelist and playwright. Novels include Trois Femmes Puissantes (Three Strong Women), Ladivine: A Novel, Self-Portrait in Green, En Famille, La Sorcière, All My Friends, Rosie Carpe, Coração Apertado, Hilda and many more. Writer, poet, actress, model and LGBTQ advocate. Her books include Bone a debut collection of poetry and The Terrible a memoir set to arrive in the summer of 2018. Best-selling novelist of Ghana Must Go. Activist, researcher and author of Miss Behave. Poet and playwright. Her debut anthology of poetry is Collective Amnesia. You can read more about the literature listees here. The list also includes Ainehi Edoro-Glines the founder of Brittle Paper in the media category.